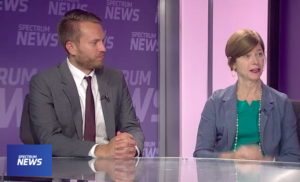 Cathy Clabby of The Reporters’ Lab and Andy Specht of The News & Observer appeared on Spectrum Cable’s “Politics Tonight” this week to explain the newly announced NC Fact-Checking Project. The journalists briefed Spectrum News host Tim Boyum on the ambitious plan to fact-check claims by politicians statewide during federal and state campaigns this fall and into the 2019 General Assembly session. In the project, Duke journalism students and faculty – assisted by Tech & Check bots – will scour campaign messaging and news reports to find newsworthy claims by politicians that can be verified. Journalists at The News & Observer will select statements to check, report their veracity and craft the fact-checks. 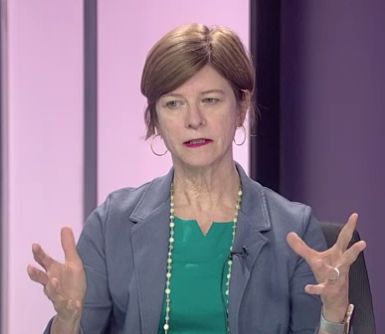 The reporting will be shared for free with print, broadcast and digital newsrooms statewide. To watch, click here.